Deven McGraw, the Deputy Director for Health Information Privacy at the Department of Health and Human Services’ Office for Civil Rights (OCR) has stepped down and left OCR. McGraw vacated the position on October 19, 2017. McGraw has served as Deputy Director for Health Information Privacy since July 2015, replacing Susan McAndrew. McGraw joined OCR from Manatt, Phelps & Phillips, LLP where she co-chaired the company’s privacy and data security practice. McGraw also served as Acting Chief Privacy Officer at the Office of the National Coordinator for Health IT (ONC) since the departure of Lucia Savage earlier this year. In July, ONC National Coordinator Donald Rucker announced that following cuts to the ONC budget, the Office of the Chief Privacy Officer would be closed out, with the Chief Privacy Officer receiving only limited support. It therefore seems an opportune moment for Deven McGraw to move onto pastures new. OCR’s Iliana Peters has stepped in to replace McGraw in the interim and will serve as Acting Deputy Director until a suitable replacement for McGraw can be found. 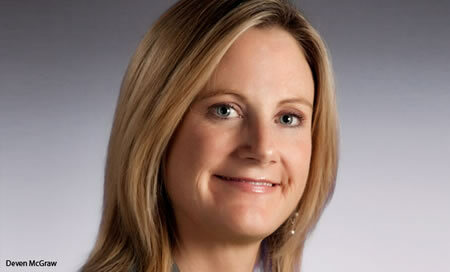 Peters has vacated her position as senior advisor for HIPAA Compliance and Enforcement at OCR. There are no plans to bring in a replacement for McGraw at the ONC. One of the first tasks for Peters will be to ensure the statutory obligations of the 21st Century Cures Act are met, and to issue guidance for healthcare organizations and patients on health data access and guidance on the allowable uses and disclosures of protected health information for patients receiving treatment for mental health or substance use disorder.